iSpeech - TTS converts text to speech. It is a free app that can be found in the app store and the play store. This app is a wonderful communication tool. It can be extremely helpful when working with students who have trouble verbally communicating. 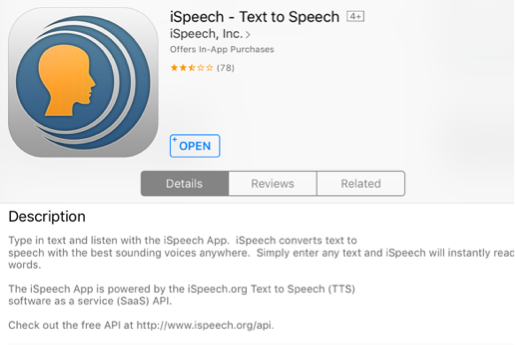 If you do not have access to these apps the ispeech website also offers this tool online.